See Land Rover Wilmington for complete lease details. 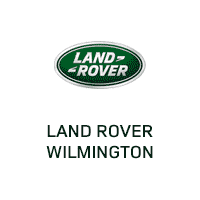 Land Rover Wilmington has a great selection of pre-owned vehicles. Land Rover Wilmington in Wilmington, DE welcomes you to our website. As a premier Land Rover dealership in the Wilmington area, we are thrilled with the opportunity to serve any and all of your Land Rover needs. Our staff is committed to helping you get into that luxurious Land Rover you’ve been dreaming of today. Be sure to browse our online inventory of new Land Rover SUVs and used luxury SUVs in Wilmington. Can’t find exactly what you’re looking for? Simply fill out our vehice finder service form and we’ll find your ideal new or used Land Rover in Wilmington for you. Our expert financing staff is also standing by to assist you with finding the perfect Land Rover auto loan or lease that fits your lifestyle and budget. Our Wilmington Land Rover dealership is more than just used and new luxury SUVs. Our fully trained Land Rover auto repair technicians will keep your Land Rover running like new. If you’re in need of a Land Rover auto part in Wilmington simply fill out our parts order form or call our Land Rover car parts experts with any questions you may have. Land Rover Wilmington in Wilmington is located at 4310 Kirkwood Hwy; give us a call or come on down for a test drive today. You can find step-by-step directions on our site or call us at (302) 992-9400. We look forward to serving all of your Land Rover needs! Our Land Rover dealership serving drivers in (302) 992-9400, Newark, DE, Middletown, Dover and Milford offers a wide selection of models, and a team of knowledgeable and welcoming staff members here to offer assistance through your car buying process. We’ve got a range of new 2017 Land Rover vehicles that will delight your senses. But we think feel is really where it’s at when you’re dealing with a new Land Rover LR2, Land Rover LR4, Land Rover Range Rover, Land Rover Evoque or all new Land Rover Discovery Sport model. That’s why the Land Rover Wilmington sales staff is here to point you in the right direction and to assist you with the next step. After all, once you find Land Rover that looks right to you, you’re going to want to get behind the wheel to see if you get that new car spark. Beyond simply selling new cars, our dealership is also known for giving Land Rover models a second chance on the road by carrying an excellent selection of used Land Rover models as well. Each used luxury SUV and vehicle we receive from a previous owner is thoroughly inspected to make sure it’s fit to be driven in Wilmington and the surrounding Newark, DE, Middletown, Dover and Milford areas, meaning you can count on a reliable vehicle when you shop at Land Rover Wilmington. We know you that driving home in the vehicle of your dreams is a top priority (and it definitely should be), but you also want to make sure you have all the details sorted out when it comes to SUV loans and financing. To put your mind at ease, our car loan and Land Rover lease specialists are here to help you achieve your goal. We’ll take the time to help you understand your options, and find the right plan for you. It’s all a part of the Land Rover Wilmington experience as we get you closer to turning your dreams of ownership into reality. You may also start the process now by filling our online financing application. If you bought a vehicle from us a day ago, a month, a year, or longer, you’re still a member of the family. Whether it’s a quick tune-up, a recall, or the need for a more immediate fix, Land Rover Wilmington’s service center is open during normal business hours for your convenience. Once you’ve scheduled an appointment online, over the phone, or in person, our automotive enthusiasts will take on nearly any job, big or small. If you rather make a repair yourself, we suggest you keep your vehicle genuine with certified Land Rover parts. It’s an easy way to avoid regret. And, to give you more time to perform the actual maintenance or repair, we even have a fast, easy-to-used online SUV parts order form. Here at Land Rover Wilmington we’re serving drivers in Newark DE, Middletown, Dover and Milford with all of their automotive needs. Whether a new or used luxury SUV is in order or a little maintenance is required, visit us at 4310 Kirkwood Hwy, Wilmington, Delaware and we’d be happy to help you, too. Though our Service Center does serve all makes and models, Land Rover owners can rest assured that their vehicle will receive nothing but the best when it’s brought in to our team. Not only will our team of experts diagnose and treat your car in an efficient manner, but they’ll also use only authentic Land Rover parts so that you can have absolute confidence in the work that’s been done to your vehicle.